In a relatively short time since beginning play in the West Coast League, the Victoria HarbourCats have forged and identity as a destination for some of the best talent coming from many elite college baseball programs in NCAA division 1 baseball. 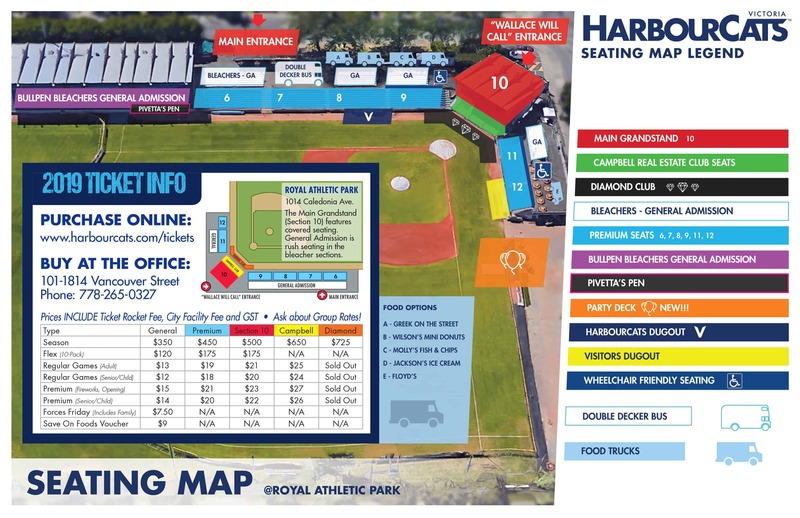 In 2013, the HarbourCats joined the very well established and connected WCL, a league that has become arguably the preferred league for college programs on the west coast and beyond when they look to place their players with summer teams. With several teams already nurturing longstanding relationships with the top programs, the HarbourCats were faced with the challenge of proving themselves to the college baseball world, and developing the same relationships. After three years and nearing season number four, the challenge has clearly been met. Take a glance at the 2016 roster and you will see power programs like Fresno State, UCLA, UC Irvine, Sacramento State, and Cal Poly among many others lending multiple players to Victoria. All of the schools named have established strong relationships with the HarbourCats and have sent players to Victoria for multiple years. One relationship in particular that is flourishing, is the one built with the Fresno State Bulldogs. Mike Batesole is in his 14th year as head coach at Fresno State and guided the Bulldogs to a College World Series championship in 2006. During his tenure, Batesole has maintained Fresno State as a perennial power in the Mountain West Conference, annually producing high round draft picks, and major league alumni like Matt Garza (Brewers), Doug Fister (Nationals) and Justin Wilson (Yankees). The HarbourCats and Fresno State established their relationship in 2015, when the Bulldogs sent a trio of players to Victoria and a major reason for it was coach Batesole’s pitching coach, Steve Rousey. Now in his sixth season as pitching coach at Fresno State, Rousey has a connection to Victoria thanks to HarbourCats pitching coach Alec Adame. Rousey was the head coach at Los Angeles City College when he recruited Adame to play for him out of high school. After two years at LA City College, Adame transferred to Chico State University where he won the NCAA division 2 National Championship while playing with HarbourCats head coach Graig Merritt in 1999. When the HarbourCats hired Adame prior to the 2015 season, he got in touch with his former coach, and a pipeline was formed between Fresno, California and the capital city of B.C. When you talk about Alec Adame and Steve Rousey, you’re talking about a relationship that is as strong as they come. Following his playing career, Adame has been an assistant coach at Chico State, head coach at LA City College, and is currently the head assistant at East LA City College. He holds Steve Rousey in high esteem, as one of a select group of distinguished people who have have a hand in his career. Adame played under Meggs and Taylor at Chico State, and after his playing career, Meggs hired him as an assistant on their coaching staff. With that extensive history, there is plenty of trust built between Adame and Rousey. Because of this, sharing players in the summer seemed beneficial for both sides. 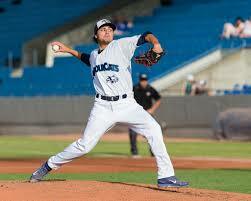 The first group of players to be sent north of the border were right-handed pitcher Dominic Topoozian, outfielder Austin Guibor, and infielder Torin Goldstein in 2015. Coming off of his freshman year Guibor had a strong summer, hitting .301 in 44 games and finishing second on the HarbourCats in RBIs (26) and third in home runs (4). Fast-forward to the spring of 2016, he is now an every day player at Fresno State, hitting leadoff. The player who likely had the most head turning summer was Topoozian, who looks back at his Victoria summer fondly. Topoozian, a native of Clovis, CA was coming off of his sophomore year at Fresno State where he logged 20.2 innings with a 5.66 ERA over 14 appearances primarily out of the bullpen. He says it didn’t take long to fall in love with Victoria. He explains that even with how much fun the experience was, he never lost sight of the objectives that coach Rousey outlined for his summer season. “Coach Rousey set out goals such as having top-10 ERA in the league, along with other specific goals we work on at Fresno State such as throwing a high percentage of quality pitches. That goes for all pitches especially fastball command and first pitch strikes.” Says Topoozian. “But the main goal was to win.” He adds. Dominic finished the 2015 WCL season tied for 14th in the league in ERA (2.81) with teammate Austin Dondanville, a product of Cal Poly, and delivered an all around outstanding season. He finished second in the WCL in wins with a 6-4 record and had the fourth most strikeouts with 55 in 73.2 innings pitched. He was named to the North Division all-star team. Topoozian praises the individuals of the HarbourCats organization and his host family for an experience he describes as unforgettable. “Everybody works extremely hard, people like (General Manager) Brad Norris-Jones and (Assistant GM) Brittany French to name two. They deserve a championship and so does Victoria!” Topoozian concludes. The HarbourCats appear to be progressing towards that ultimate goal of a WCL title, after the Topoozian-led 2015 team finished with a franchise-best 29 wins, narrowly missing the WCL playoffs, and improving by five wins over the 2014 total. With that trajectory, the organization is putting on a full-court press to try to qualify for the playoffs in 2016, and the partnership with Fresno State will likely be a key factor. The Bulldogs have increased their commitment to the HarbourCats, sending four players to Victoria in 2016 from a team that started this spring 11-0 which was Fresno State’s best start to a season since 1959. Players coming to Victoria include right-handed pitcher Mark Reece, catcher Joe Prior, infielder Scott Silva, and outfielder Jake Stone. Mark Reece will pitch at Royal Athletic Park this summer following his junior year at Fresno State where he has made five bullpen appearances to this point. His stats are comparable to those of Topoozian prior to his summer in Victoria and he was in fact scheduled to come to Victoria in 2015 but was unable to report after having to schedule double knee surgery during the summer, so Topoozian was sent in his place. Reece is back healthy and will have his turn this summer. Another player that reflects the trust that Batesole and Rousey have in the HarbourCats is outfielder Jake Stone. A junior from Carlsbad, California, Stone is an integral core piece for the Bulldogs who is being entrusted to the HarbourCats to continue his progression this summer. Stone has started in left field all 20 games to date, batting third in the lineup, and his 12 RBIs are third on the team to go along with his .279 average. The baseball world is built on relationships at every level, and nowhere is this truer than summer-collegiate baseball. The HarbourCats understand this and have taken it to heart, putting people first and valuing relationships. The success and glowing words of Dominic Topoozian, and the continued partnership with top programs like Fresno State, is a testament to the outstanding reputation the HarbourCats have earned at the highest levels of college baseball.